 EACR Travel Fellowships are co-sponsored by Worldwide Cancer Research and provide funds up to €3,000 to early-career cancer researchers. For more information on how to apply for Travel Fellowships, you can visit the EACR website. Brain metastasis represents one of the most devastating aspects of breast cancer spread. 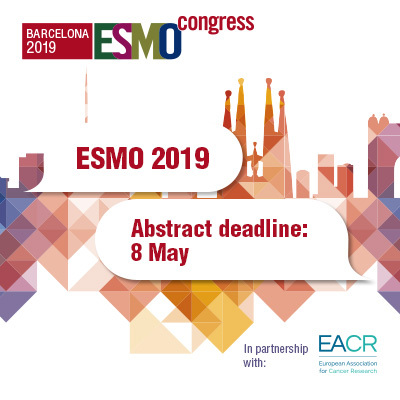 My research utilises state of the art molecular profiling of patient tumours to better understand the faulty genetic switches that facilitate breast cancer spread to the brain. This may allow discoveries of new biomarkers of early detection and response to current therapies. Discovery of such biomarkers could help clinicians identify patients at risk earlier and use the information to better inform clinical management of brain metastasis. How did you hear about EACR Travel Fellowships / why did you decide to apply? I heard about the EACR Travel Fellowships through a colleague of mine. The EACR is well-known, recognisable institution amongst my cancer research peers. Once I looked into them, I realised what a great opportunity they present to young researchers to get training internationally. Everybody went out of their way to be inclusive and being made feel like part of the lab made the experience all the better. Why did you choose the host lab? I have known about the Brown Lab at Dana Farber Cancer Institute from a very early stage in my research career and was always a big fan of their work. They have been at the leading edge of estrogen receptor positive research and I have always used their papers as a reference for novel techniques. Once the opportunity arose to actually go over there and learn from the best, I did not hesitate to take it. Can you summarise the research you did or what you learned on your visit? The purpose of my visit involved learning a state-of-the-art technique that the host lab developed themselves. They figured out a way to apply a pretty standard technique that investigates protein-DNA interaction, which is important in figuring our gene regulation and mechanistic interrogation of key cancer pathways, and applied it to archival patient material, which is broadly available in the hospitals as part of standard clinical care. Every morning I enjoyed being able to walk to work. It was not too cold, unusual for that time of the year in Boston, and it was a brisk 30 minute stroll. Once in work my typical working day consisted of working from 9-6 and the days varied depending on what I happened to be doing experimentally. The labs were made up of lab space and reading desks with 2 people per lab. Most of my daily interactions took place with my lab mate and we all socialised and had a group lunch daily. What were you able to do that you could not have achieved in your home lab? The host lab is already perfectly placed for the kind of experiments I was carrying out. Seeing as it an integral part of the Centre for Functional Cancer Epigenetics the equipment and more importantly, the expertise were readily on hand to assist me and work with me as I worked on my project. Did you take part in any interesting local/cultural activities? I took in all the local sights. 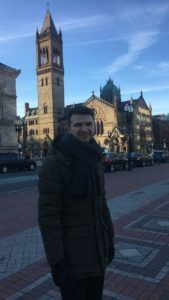 Boston is a beautiful city and sometimes has a very European feel to it. It’s not huge so most of the things were within a walking distance. It’s a big sports city, and one of the highlights for me was going to a Boston Celtics basketball game with my lab mates as I am big fan of the game. Was the host institution very different from your own? Dana-Farber Cancer Institute was an eye opening experience. The biggest difference between this institute and my home one was the sheer scale of cancer research going on at any one time. Additionally, weekly seminars, guest lectures and young investigator-orientated meetings were very beneficial, networking-friendly and pro-collaborative. Have you brought back any specific knowledge that has benefited your home lab? 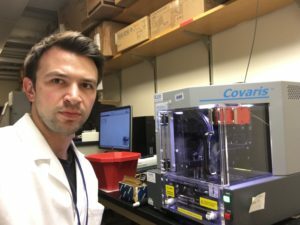 I have brought back the Fit-sequencing technique that will allow us to pursue epigenetic profiling of formalin-fixed paraffin embedded tissue in all of our future metastatic breast cancer research. My technical expertise on other epigenetic profiling methodology also improved and I was able to come back and start implementing the latest improvements in the same experiments that are regularly done in my home lab. I would like to extend my sincerest gratitude to all the people in the host lab who were very helpful and super friendly. Everybody went out of their way to be inclusive and made me feel like part of the lab, which made the experience all the better.